The Blundell’s School, located in Tiverton, Mid Devon will be stepping up their preparations for their 2017 cricket campaign by attending a three (3) day pre-season training camp at the Desert Springs Cricket Academy between Friday 17th – Monday 20th February 2017. 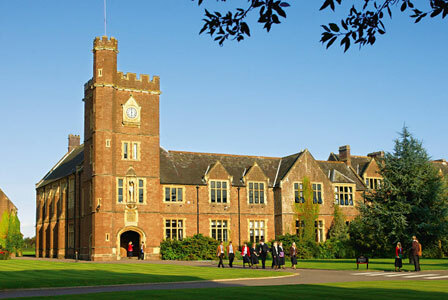 Blundell’s is a co-educational independent school for full, weekly and flexi boarding and day pupils from ages 11 to 18. The school combines strong academic achievement and excellent facilities with the best pastoral care. Blundell’s has a long tradition of playing cricket and was recently recognised as one of the top 100 schools for the sport by The Cricketer magazine. The Blundell’s School team training camp will comprise Twelve (12) players and Two (2) coaches, all of whom will be spending their time completing numerous training sessions each day, which will include grass net practice, both bowling and batting, strength work, running, speed and agility work. As they will be outside and on grass, the squad will also be able to do fielding and throwing practice in realistic conditions, something not possible indoors back in the UK. Accommodation for the players and coaches is in some of the privately owned apartments at Desert Springs Resort normally reserved for holidays and short breaks and the resort’s executive chef will be on hand to cater for the special dietary requirements of individual players dining in the resort’s Crocodile Club Restaurant.